This might be my best column ever! In fact, it’s apparently so good that they could only fit two of the four words in the title on the TenTonHammer homepage tab. Thank God those were the two words that they picked! I especially love the little avatars that run around, especially mine which would be the spitting image of me if I were 8-bit and owned a shirt with a chessboard on it. Reuben on the other hand looks like the love-child that The Flash and Amelia Earhart might have had. The only part of the site that I don’t like is the comments. I know I’ve been hanging with a tough crowd on the eSports side of the TTH network, but I’ll give them one thing, they are vocal. Guess how many comments I can currently see on the TenTonHammer homepage? Go ahead… just guess. It won’t hurt you. None, nada, zilch, zero… kablooey. Do you people have no opinions? Are the TTH writers so absolutely in touch with your feelings and beliefs that they leave no opportunity for you to deliver your own thought? Has TTH turned into some kind of cult since I stopped writing Loading…? I don’t ask much, but I will ask that you leave a comment at the end of this column. Heck, shout out for your favourite World Cup team if you have to, but for the love of all that is massively and multiplayer shout out! I don’t even mind if you tell me to go find a hole, climb in and never come out. I’m good with that if the community on TTH can prove to me that they aren’t mimes. 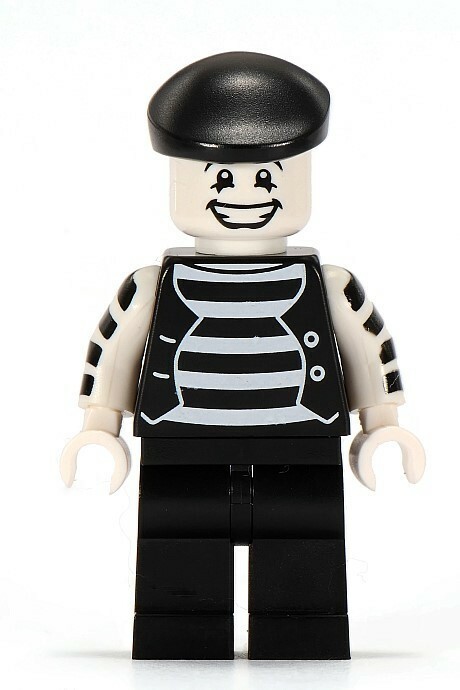 Though to be honest, I’m not sure if this guy is a Lego Mime or part of the Lego Village People, but you get the point. This is YOU unless you start voicing some opinion. Just following along… wearing your leather vest with your white painted face saying absolutely nothing. Now on to some MMO news that matters. Just for fun I’m going to give you the title that we used and then follow-up with the sensational title it would have had if the article ran on Kotaku. 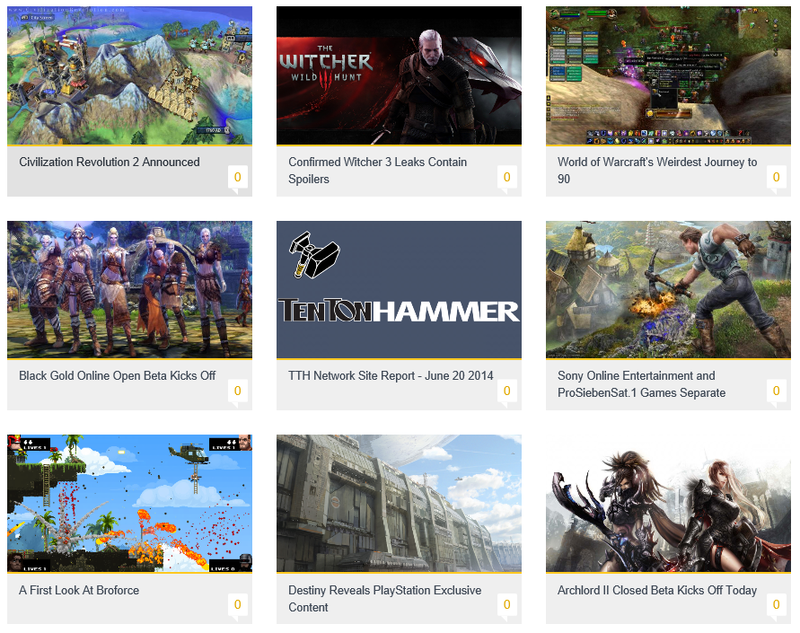 Kotaku Version – We Gave out E3 Awards and You Won’t Believe What Happened Next!!! Kotaku – Divorced Gamers – 10 things you need to know. From the Ghost-War-On-Drugs-Dept. – American Kids Possessed by Mexican Ouija Board. That’s it. That’s all for this week. Show me that you have a voice. Stand up and be counted, so I can taunt the eSports guys. Thanks as always for taking the time to read right to the bottom. I appreciate it. Now, be a gamer of action not of slothery and leave a comment. It would brighten the faces of the little children scared by Reuben’s pseudo Flash avatar. Brighten a child’s day.